Blanketing a chicken with salt and refrigerating it for a couple hours will draw out some moisture and strengthen the chicken flavors. Don’t worry, the chicken will not be salty. The next step is to rinse off the salt. 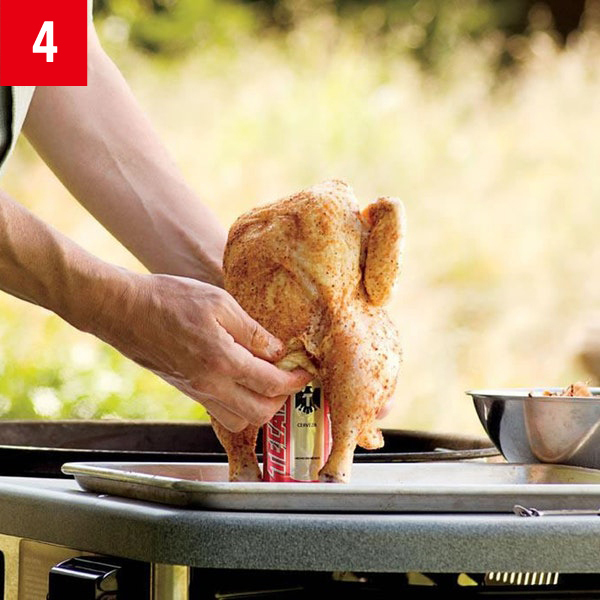 After you have rinsed and seasoned the chicken, open a can of beer and pour out half (into a cold mug). Use a church key can opener to make two additional holes in the top of the beer can to allow steam to escape. 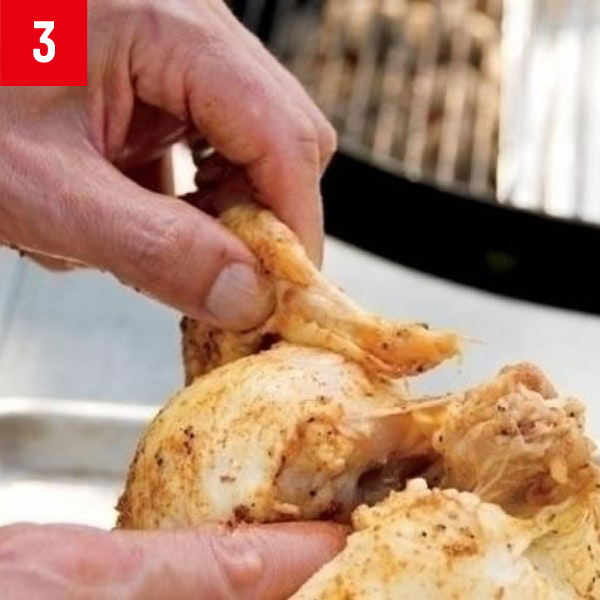 Fold the wing tips behind the back of the chicken to shield the tips from the heat. 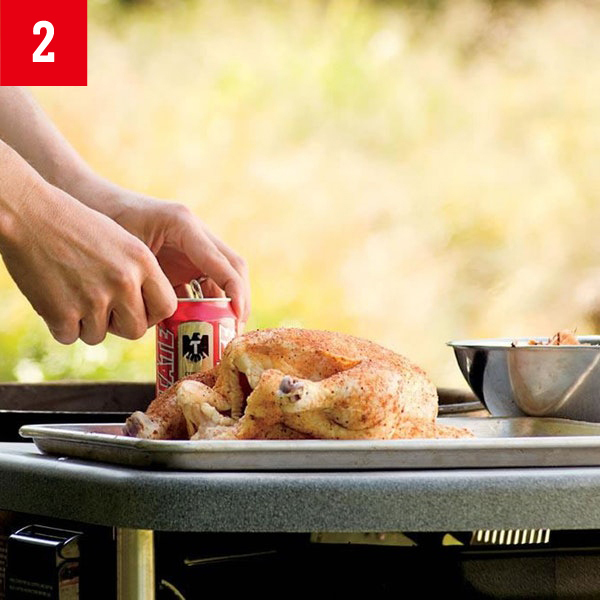 Working with a solid surface underneath, slide the chicken over the beer can as far as it will go. 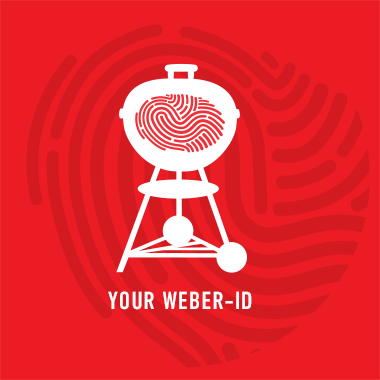 Set up the grill with a water pan in the middle and lit charcoal briquettes on either side. 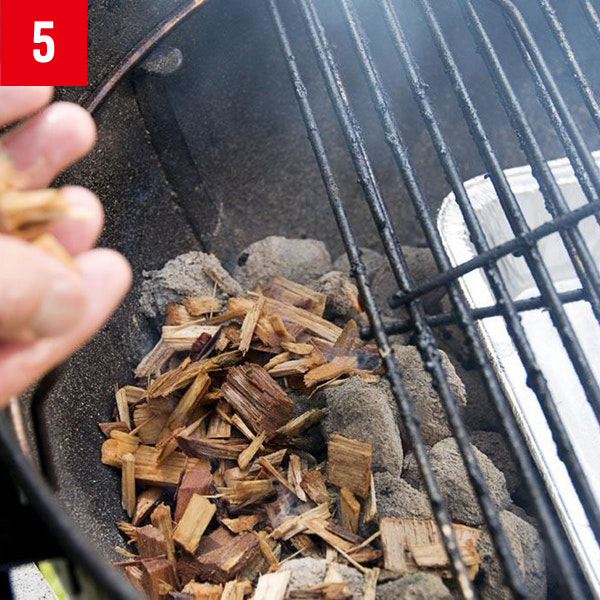 Add a couple handfuls of damp chips to each pile of coals. 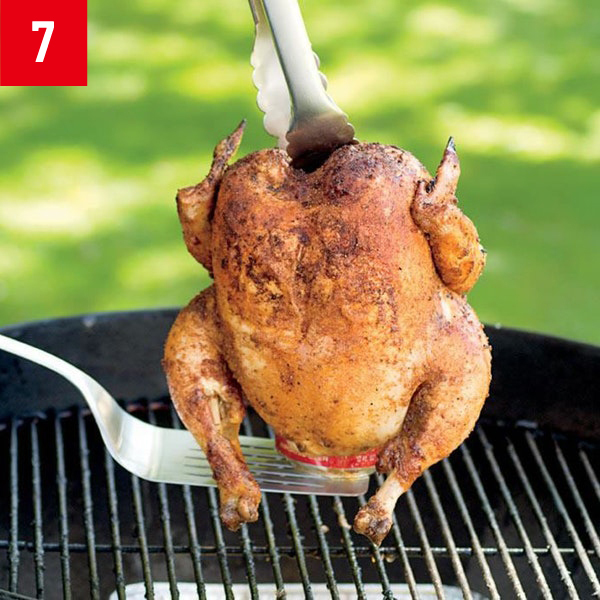 When the wood begins to smoke, place the bird-on-a-can on the cooking grate over the water pan, balancing the bird on its two legs and the can like a tripod. 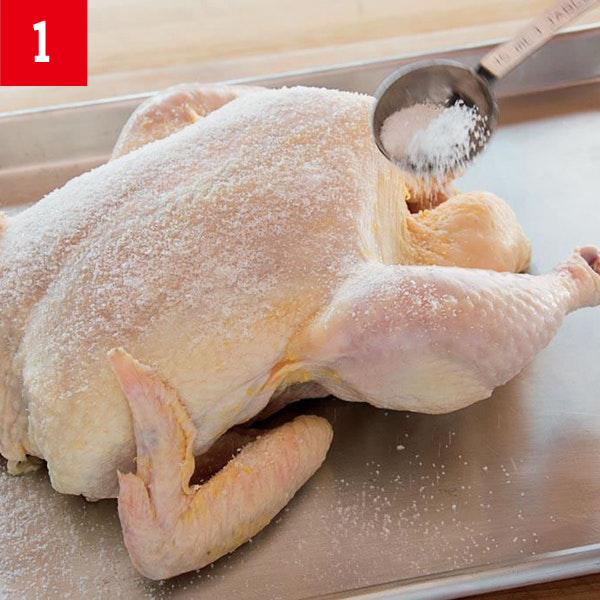 Close the lid and cook the chicken until the internal temperature reaches 160° to 165°F in the thickest part of the thigh (not touching the bone). 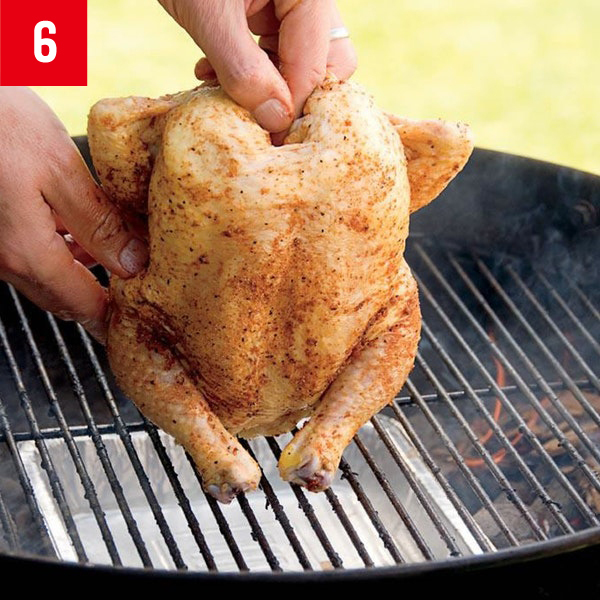 When the chicken is fully cooked, grab the back with tongs and slide a spatula under the can to lift it. Be careful—the beer will be very hot. Let the chicken rest for about 10 minutes before sliding it off the can (the internal temperature will rise 5 to 10 degrees during resting).